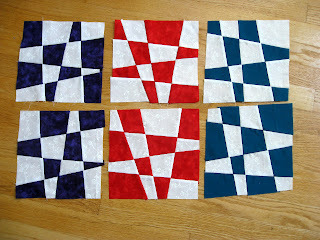 These were fun blocks to make – a perfect short project for a hot day! I had realized that they could be strip pieced when I thought about it, I’m glad Sara showed the how-to for everyone to try. I will donate my chances this month since I still need to put together my modern clovers.